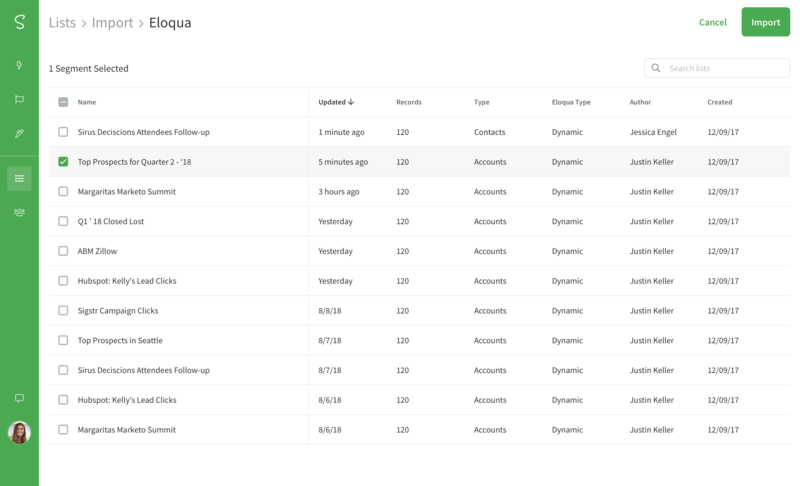 The benefit of being able to import contact segments from Eloqua to Sigstr is twofold. 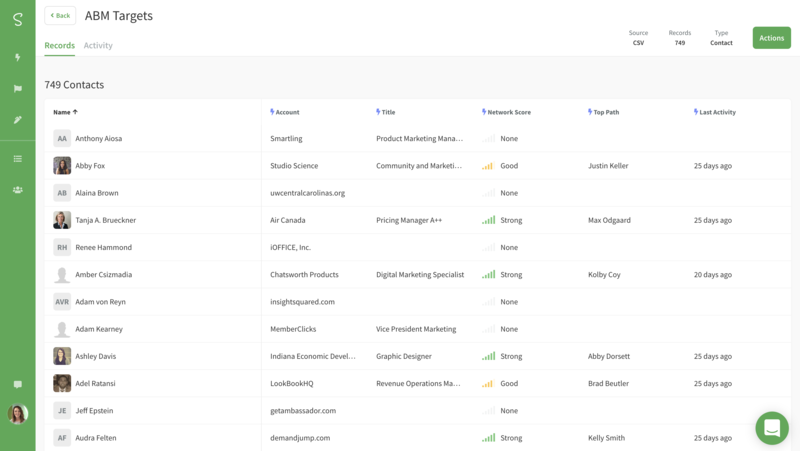 First, it allows you to more accurately target customers and prospects with email signature campaigns and second, it opens up a whole new level of reporting via Sigstr Pulse. Let’s take a deeper dive into both advantages. 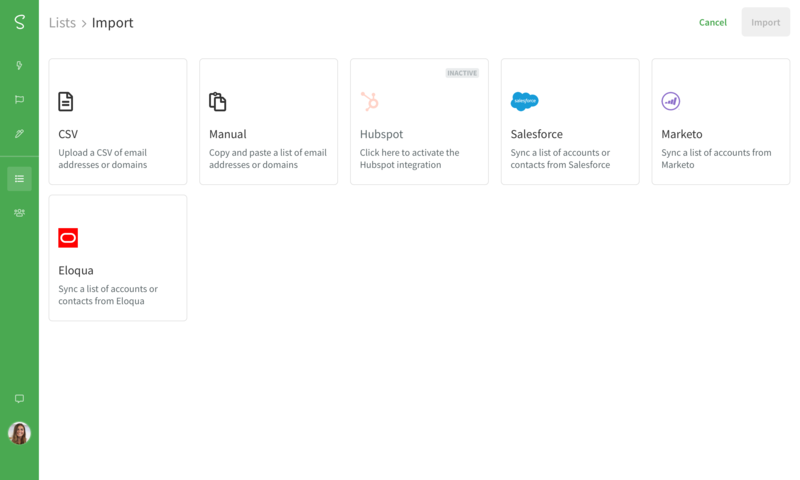 To enhance your targeting capabilities, the Eloqua integration allows marketers to import contact segments straight to Sigstr to align to campaigns now and in the future. Depending on how you’ve segmented users in your Eloqua environment, this opens up endless opportunities. Most notably the ability to align Sigstr campaigns to specific stages of your sales cycle. Before importing Eloqua contact segments to Sigstr, you must first enable the Eloqua Integration. Select Eloqua as the List Type. Select the Eloqua contact segments you would like to import and click Import. 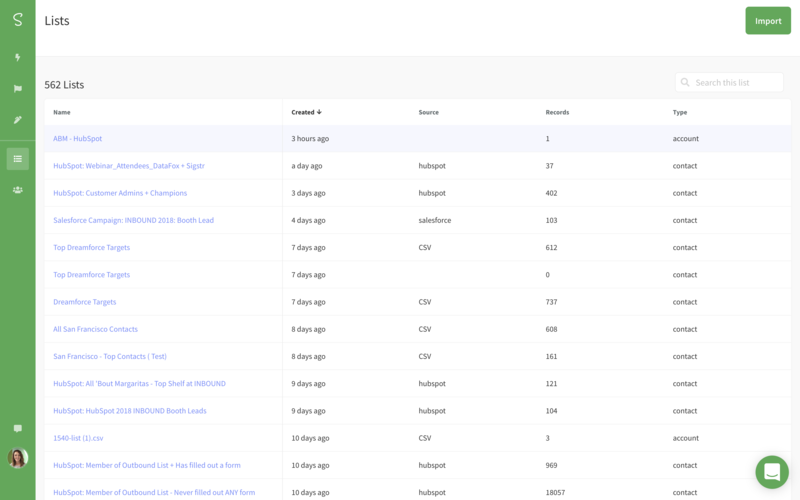 The new list will show up in your master list with Eloqua as the source. For contact segments, Sigstr will automatically sync with Eloqua once every 24 hours to ensure the most up-to-date data exists in Sigstr.